You will be surprised by the many places you can get things for free. A big way to become richer day by day is to avoid paying for things. You can get things for free and invest the savings. When you don't pay for everything, you can become richer day by day. There are a variety of sources for free stuff, and it really does pay to be creative! You can go to your local library and borrow books, DVDS, musical scores, and CDs for free. Our library has stenciling and other equipment for teachers. They have conference rooms you can reserve for meetings, as well as quiet study areas. Most libraries also offer the use of a computer and internet. You can even use them to get help on writing hubs and making money online. Just ask the reference librarian for the research topic you are interested in, and they will show you where to find the relevant information quickly and easily. Even if your own library does not have the book you want, you can reserve it through the inter-library loan system. This is a great way to look at a variety of books on different topics, and decide the one that is best for you. You can then buy that book, saving you hundreds of dollars, and the aggravation of having books that don't exactly fit your needs. This will also save you space, since you won't have to figure out how to store or get rid of all those books. Publishers will often offer a free copy of a book in exchange for a review. Sometimes they will have drawings for a free copy of a book as a marketing campaign. You can also get free magazines. Just be sure to read the terms of the offer and cancel the subscription before you get any more. Manufacturers will often provide free samples of new products. Sure they are small, but it is nice to get something in the mail, and try out a new product. You can also get free products by combining coupons and rebates. Coupon site such as Money Savings Mom and Coupon Mom will show you where to find these deals. I found out about and received 275 printed photos from this site, all for the cost of a small shipping fee. When you have a product that you particularly like, it is useful to go to the manufacturer's website and sign up for their mailing list. You will often get free coupons and samples. There are so many things you can get for free on the internet. Free movies and free television shows from Hulu and YouTube, free recipes, You can even get free money saving advice, free book reviews and, free movie reviews from me. You can get advice and information on almost any other topic you can imagine. Hubbers will enjoy the instructions on codes. Just put your search terms in your search browser and browse until you find the answers. Bloggers also offer a great deal of free stuff. In addition to tutorials, free block patterns, free quilt patterns, and free advice, they often give prizes to people who participate in their events, or celebrate their milestones. You can often get free fabric and free chocolate, as well as a myriad of other items. Social Networking sites such as Facebook are also great places. Many manufacturers have recognized the power of these sites and are offering free samples and items to get customers. There are also many sites that offer free internet space for you to write to your heart's content, and possibly make money. Blogspot and wordpress offer places for you to share your daily life, and can join communities of other people who share your interests. These are great ways to meet friends from around the world. And of course, we can't forget Hubpages. You can even take free personal finance and economics classes right here on the internet from universities and other providers. No, I'm not advising you to abuse your friends' generosity, but you can often get free items by bartering your skills or excess things. Talking with people in your community, and with experts in the field of your interested topic will make them feel valued for their knowledge and will help you learn facts, and find things you need. This will help save you time and help you avoid stress as you learn from other people's mistakes. You can also get items that people have finished using by the freecycle network. It is a great online network that links local people who post offers and requests for items. Someone will post an offer for an old television, for example, and some people may ask for it. The poster will choose who will receive it, and arrange for the requester to pick it up. Thank you for the reminder of this network, Pamela N Red. There are many things you can get for free from the government. Grants, business loans, booklets offering advice on many topics, women's health advice including free calendar, and maps are just a few things you can get for free from the government, no matter your income. Many times if you attend an event that involves booths, you will be able to receive free items. Here in Columbus, I get free things from the Asian Festival, where they offer free cholesterol screenings, free blood pressure checks, free transcription of my name in other languages, and free Henna Tattooing. Health fairs, homes and gardens fairs, career fairs, and many other kinds of fairs, expos, and shows will offer free items. You will never have to pay for a pen again! Trader Joes and grocery stores often have free samples of food. At many ice cream stores, they offer a free sample of an ice cream flavor. Banks will sometimes offer free cash for opening up an account, free calendars,coupon books. Banks might offer free t-shirts and other gifts to students. When you donate to a charity, you might get address labels, calendars or other gifts to encourage you to give more. There are many other places that offer free things. By utilizing these free items, you can become richer day by day. I will be providing details on many of these places, so please keep checking in with me. Here is a current listing of all of my Millionaire Tips hubs. I love this hub. Although I don't live in the US, I have been there and appreciate a lot of the free samples you get when you buy makeup and stuff. They make great gifts for my friends when I go back to the Philippines. Also, in the Philippines a lot of the free stuff you mention are also available, like lotion samples when you buy a magazine and the like. Seriously, I use them because like Mt. Everest, they are there, and you don't have to climb Mt. Everest to get them. Good suggestions here. There is definitely a surplus of just about everything in this country. With a little imagination and effort, you can save a lot of money. Thanks for the reminder. For parents looking for free stuff, summer reading programs through various libraries are wonderful. Read a certain number of minutes or books, get freebies. Thanks Ryem. It helps to revisit these free sites from time to time to see what new stuff they have to offer. Who doesn't like free stuff? This is really good! Thanks for sharing. Thanks Au fait. I like saving money and getting free stuff no matter what the economy, but you are right, when money is right, I look for more of these opportunities. Lots of ideas for stretching one's paycheck just a little bit further, and especially helpful in this economy. 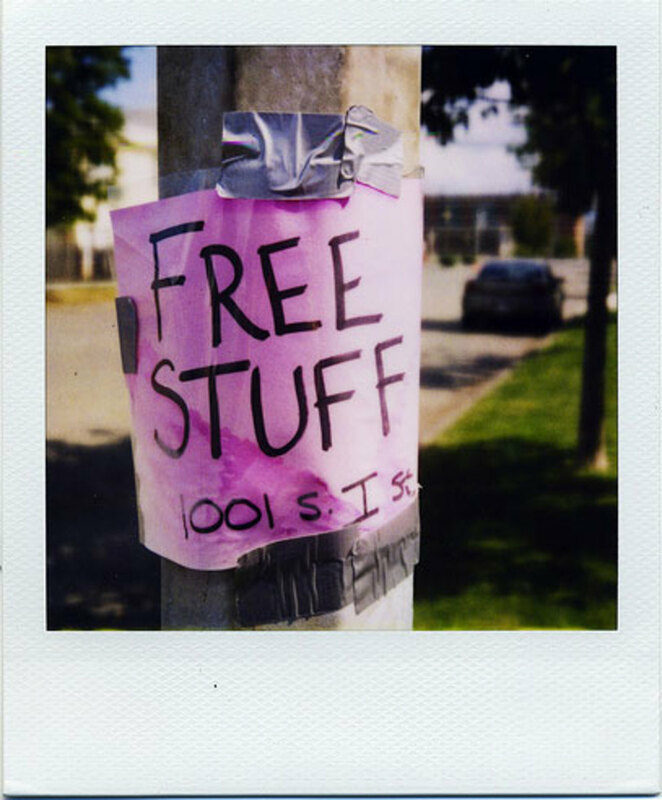 In addition to learning about freebies one may not have known about before, it gets the brain working and looking for other useful things that may be free. Good article with lots of tips. Thank you brenda12lynette, AudreyHowitt and homesteadbound for your visit and comment. Brenda, I really enjoy the library, because I get so many books, and do not need to decide what to do with them when I have looked through them. Plus, they are generally available at the library if I ever want to look at them again. Cindy, these challenges certainly do take a lot of time, but they are worth it. I wish you the best on your current challenge. Thank you weestro, Swetankraj, fpherj48, Pamela N Red, and prettynutjob30. Free things are fun to get, although it is easy to get carried away with getting too much free stuff. Pamela, thanks for the Freecycle tip. I don't know why I missed that one, since I have used it quite a bit. I will add it to the hub. How did I miss this one? This is great! I must have been when I was doing my last 30 day challenge. Those sure seem to eat into one's day! These are great tips. Everyone loves free stuff! I think we all love free! Great hub! In the past, I rarely went to a library to check out books because I had this obsession with owning them. This past year my husband and I have been short on cash, so I was forced to go to the library if I wanted to get new books. Now I absolutely love it! Our local library even has books I can borrow on my Kindle! Good catch Pamela! Freecycle.org ... I have given away many items! Oh I love this hub,nothing like getting something for free. 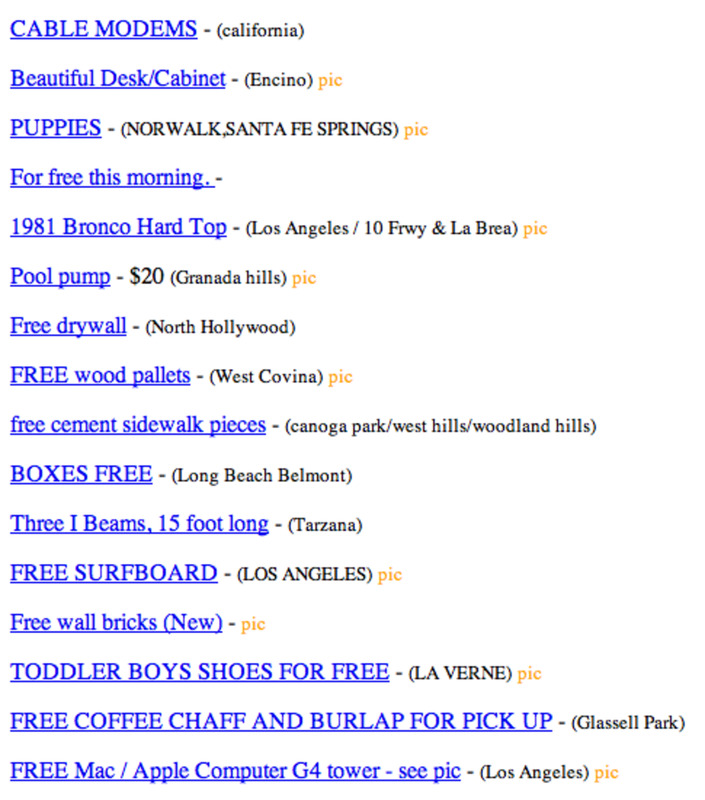 There is a website called Freecycle that offers free items. It's sort of a barter system meant to recycle goods. People post items they no longer want and other people take them off of their hands. You are supposed to make sure you give as well as receive so they don't have anyone getting greedy. I believe the address is freecycle (dot) com. Feel free to add it to your article. FREE???!!! Did someone say, "Free??" Where? How? When ? I am THERE!! Who doesn't love free? Thanks Millionaire!! Really it would be great and feels like jumping after that we can get free things! Amazing...voted up! Bookmarked this one, thanks! Voted up, awesome, useful, interesting! Free? Did I hear free? Who doesn't like free? Fantastic hub on how to get those free things! Superb! Thanks Minnetonka Twin. I really enjoy getting free things, since it allows me to try new things and save money. Thanks for the fun and helpful hub on freebies. I'm definitely bookmarking this so I can check some of these sites out. alphagirl - I agree with you junk mail, even when it comes via email is frustrating. I like to have a separate email for stuff like this. The places mentioned in this hub won't spam you, but you can wind up on sites that will sell your email address when you try to get stuff for free. That's great that you can get free music from the library. Cardia, thanks for providing another source for free stuff. Good to know. Thanks to you both for reading and commenting. Great Hub! Definitely opened my eyes to how many opportunities for free things there are. Will definitely look into these. Here's a small tip - iTunes and their book App, iBooks offer different books for free each week. Sometimes the books are full versions or samples, but all very good! I like free as long as I do not get bombarded with emails for junk from marketers. Thanks for the tips. I tell my kids to download free music from sony through the library. We are allowed 3 downloads per person in a household! Thanks for reading, voting, and commenting fastfreta. Most people stumble upon getting free stuff out of necessity, but I find that it can become an enjoyable hobby too, to try out all sorts of new things you might not have thought of before - and all without spending a single penny. I'm learning now how to do just that, get free stuff. I never knew the value of looking for bargains, and free stuff until recently, unfortunately I had to learn the hard way. Thanks for these suggestions. You are living up to your name, "Millionaire Tips." Voted up, useful, interesting, I also bookmarked it for later. Thanks Tamara. That's so true. Our state has a free library, legal help, homework help, and a lot of other things. There are also lots of things you can get for free online, especially in the form of ebooks. Google and Amazon both offer free books, as well as many other sites. You can also order lots of free samples online from different manufacturers. Walmart regularly has sample offers. Excellent advice. 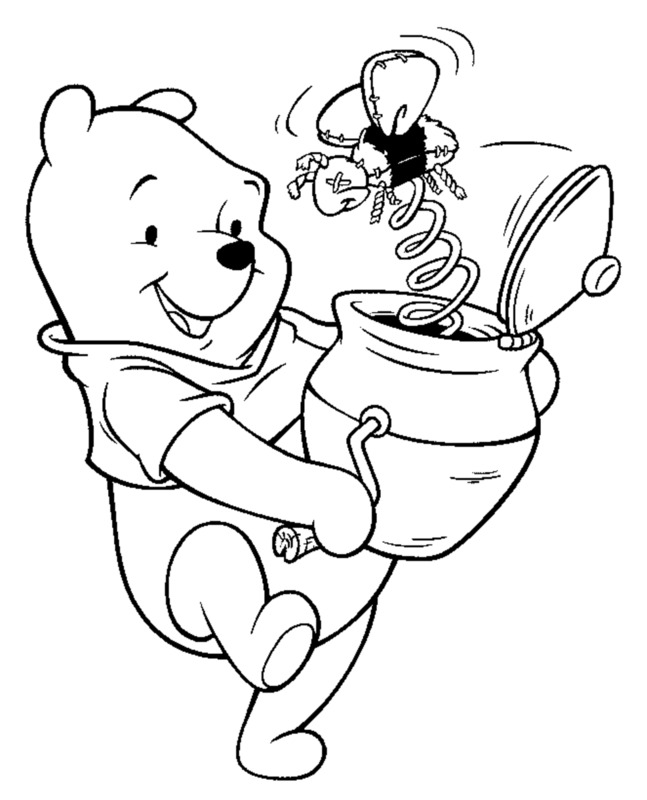 Many state websites also have freebies for kids from reading materials to links to tours. Thanks for visiting and the comment Leanna. Me too! Some fairs, I kept wandering around looking for bags they were giving away. Now I've become smart and bring my own bag. Nice Hub! I'm one of those people who leaves the local fair with a backpack full of free stuff. Thank you formosangirl. I really enjoy getting free stuff. Thank you Allen. I really enjoy splurging on free stuff so I can keep my money for the important stuff. Now this is something to keep in mind. My wife is much better finding those things than what I am so I am going to pass on the info to her. You have some good tips here. Thanks Keeley. I am glad you liked them. Free stuff is fun to get. Great Suggestions! Thanks for writing...will use some myself for sure! Thanks Stephanie! I've gotten free stuff from all of these places! I was a little skeptical when I read the title of your hub, but who can resist free stuff, right? You do have some great suggestions and several that I'm going to give a try today. Nice hub, useful and interesting!